Right Whales Happening Right Here and Right Now! 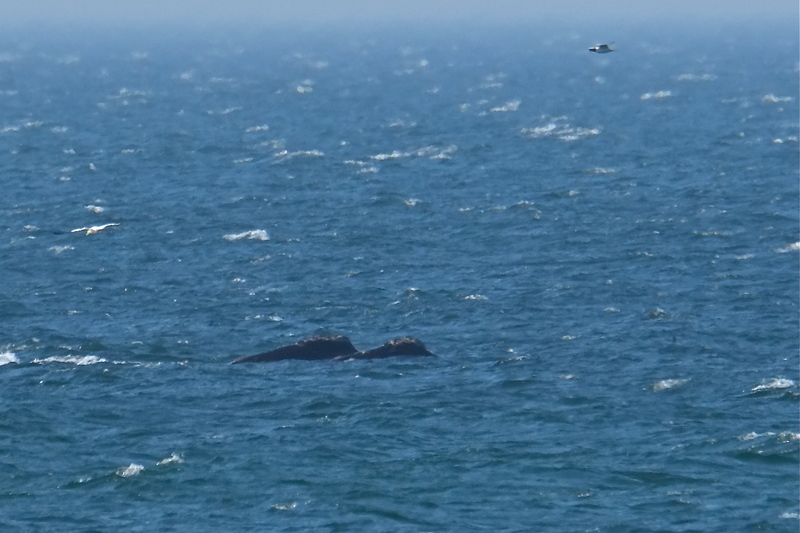 Go see the Right Whales! Hundreds are currently off the coast of Provincetown and you can easily view them from the beaches. I had an idea of where best to see the Right Whales after reading several bulletins and articles but very fortunately, we ran into Schooner Adventure Captain Stefan Edick on Provincetown’s main Commercial Street. He had seen them earlier that morning and suggested exactly where to go. After having a quick bite at a favorite lunch spot, Spiritus, we followed Stefan’s advice and headed straight to Herring Cove. There they were, feeding about 1500 feet or so from shore, dozens and dozens. We stayed for awhile and then checked out Race Point Beach. 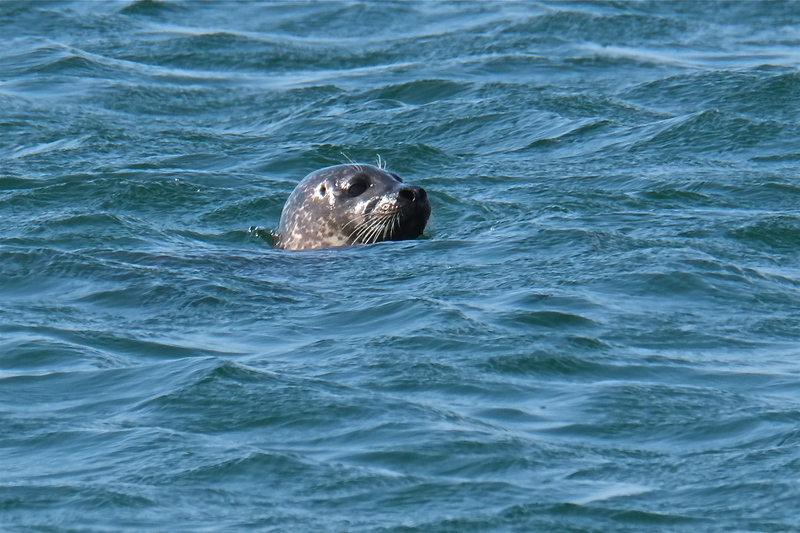 Here they were even a bit nearer the shore, by the Old Harbor Life Saving Station. 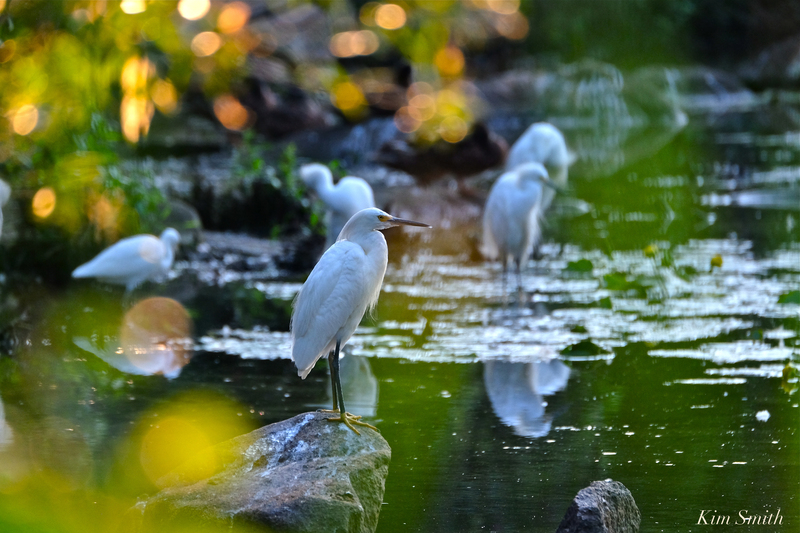 Perhaps we saw Hundreds, and it was a beautiful sight!! Right Whales feed along the surface of the water, spout lots of snot, and tip their tails when diving. 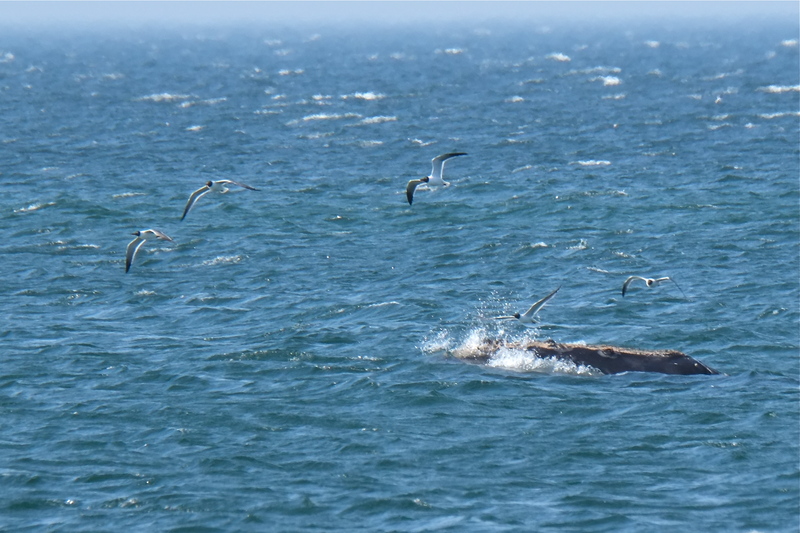 The whales were too far off shore for my camera’s range to get any spectacular shots but it was super fun nonetheless. Also feeding with the whales were Northern Gannets, Laughing Gulls, Red-breasted Mergansers, and Herring Gulls. These two were swimming together for about half an hour; perhaps they are a mother and calf. 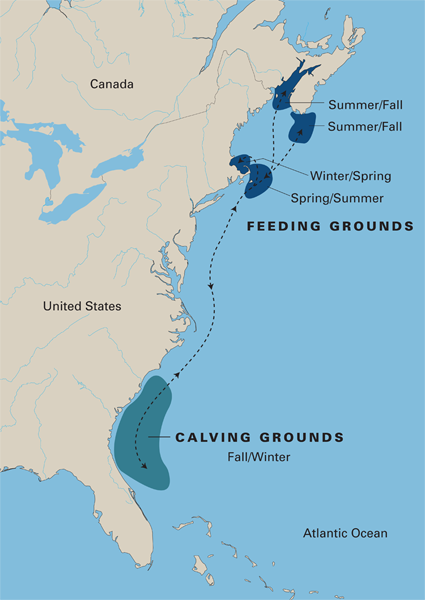 If home this week for school vacation, a day trip to Provincetown to see the Right Whales would make for a wonderful adventure. I don’t think the Center for Coastal Studies is open to visitors at this time of year, but many of the shops are open (including the always interesting Shell Shop). We had dinner at the bar at a very favorite restaurant, Fanizza’s, with lovely views of the beach (there isn’t a bad view from any seat at Fanizza’s). Our fresh seafood dinners were fabulous. Tom had the cod, I had whole belly clams, and they were the perfect end to a perfect day. 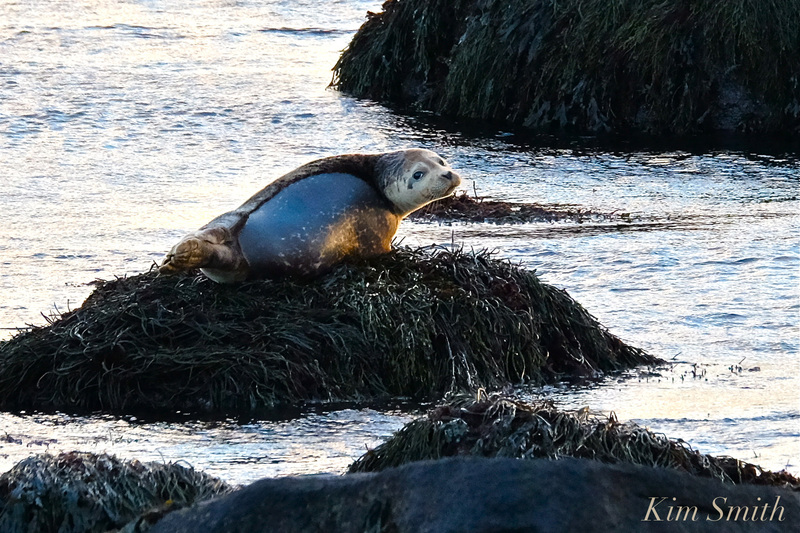 A pair of seals swam very close to the beach; they appeared puzzled by so many folks watching the whales and at that, seemed to decide not to come ashore. 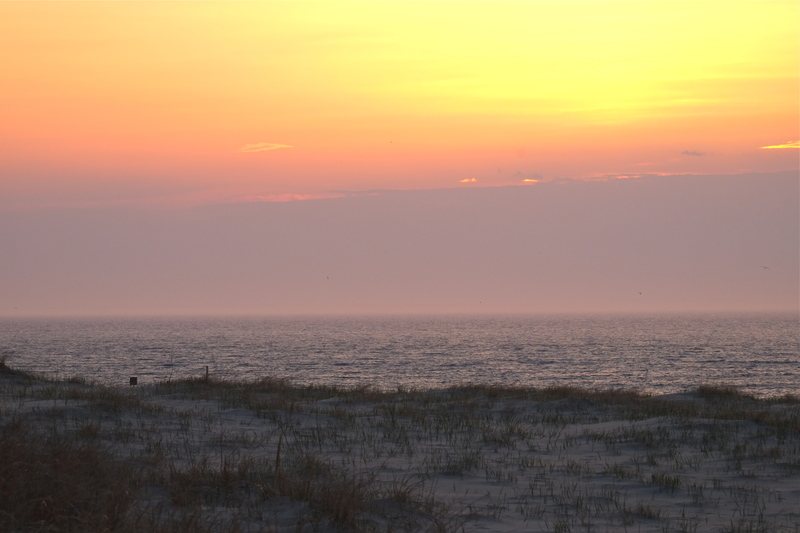 Right Whales could still be seen after sundown. This entry was posted in Cape Ann Wildlife, Life at the Edge of the Sea and tagged best place to see Right Whales, Eubalaena glacialis, Fanizzas, Herring Cove, Herring Gulls, laughing gulls, North Atlantic Right Whale, Northern Gannets, Provincetown, Race Point, Red-breasted Mergansers, right whales, Spiritus on April 21, 2017 by Kim Smith.